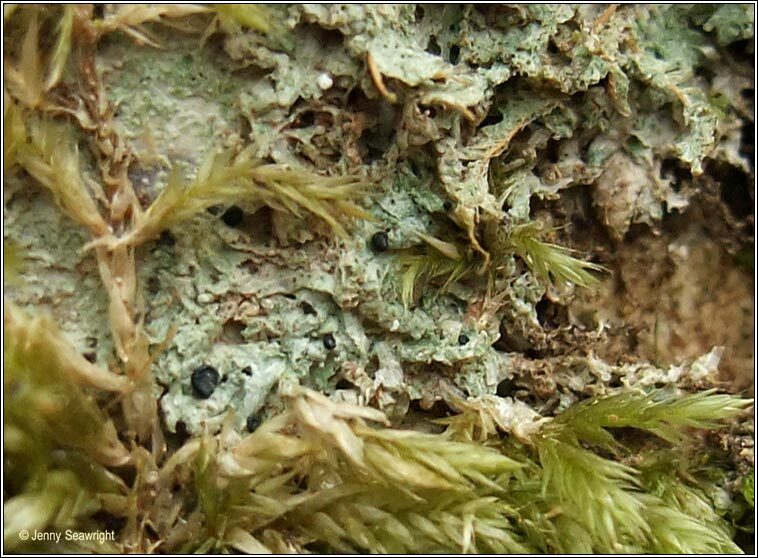 Thallus pale green-grey or whitish, +/- smooth, often with black prothallus. 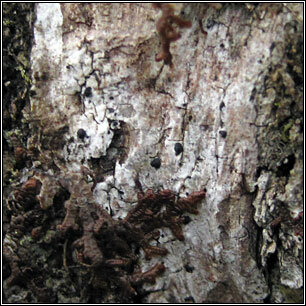 Large matt-black apothecia, the thick shiny margins excluded as disc becomes convex. 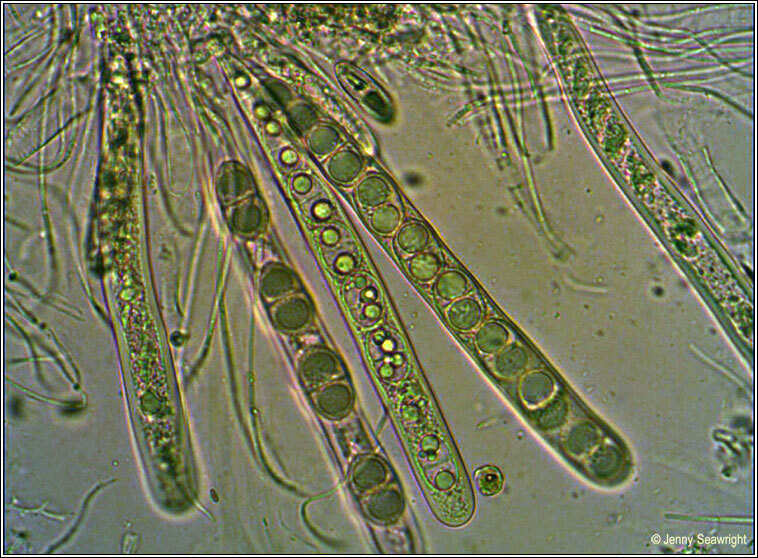 The asci are 8-spored, the spores 1-septate, 20-30 x 10-15 µm. Isidia and soredia are absent. Microscope photographs below. 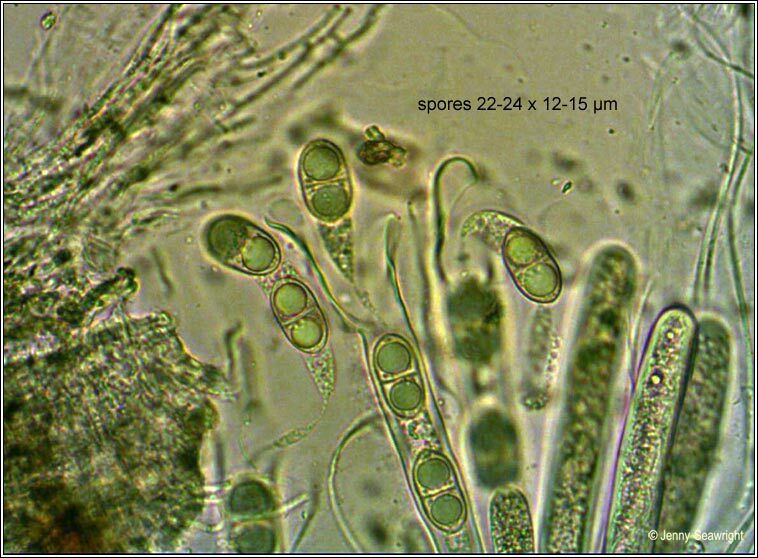 Thallus: Chemical reactions negative. Hypothecium dark blue-green, K+ green. 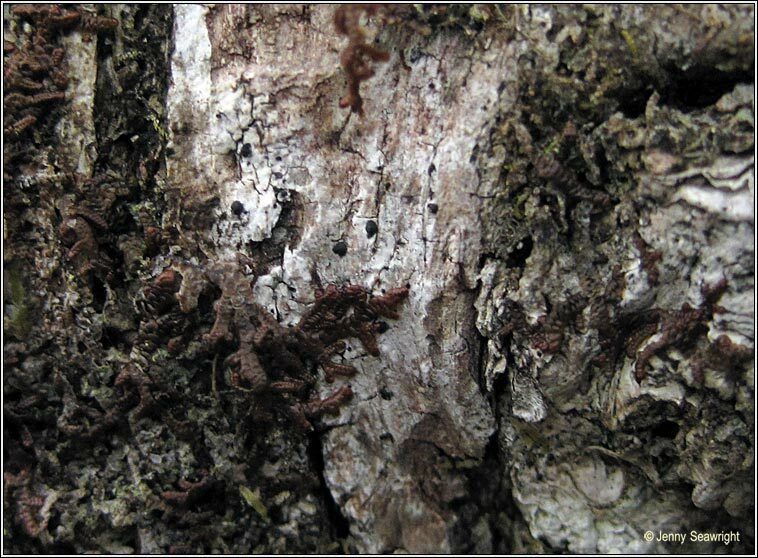 Found in old, humid woodlands in West and SW Ireland on nutrient-rich bark of Ash, Field Maple and Hazel.